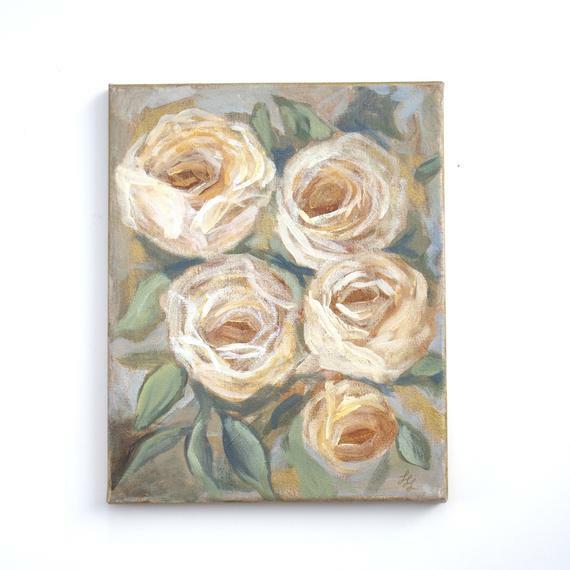 Silk flowers add color and texture to a room without the constant maintenance required with fresh flowers. This autumn I decided to make a few arrangements for our living room using a loose organic style. 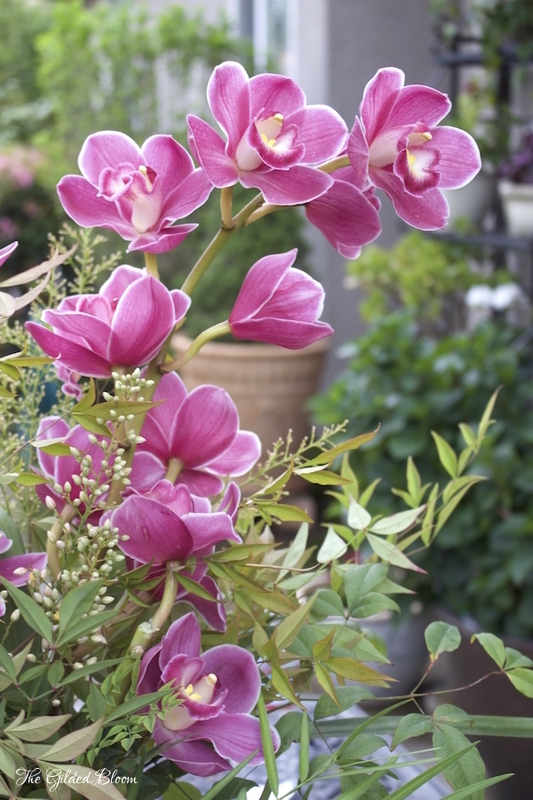 There are so many exotic colors and varieties of flowers made in silk. I was overwhelmed by the selection at our local floral supply shop! 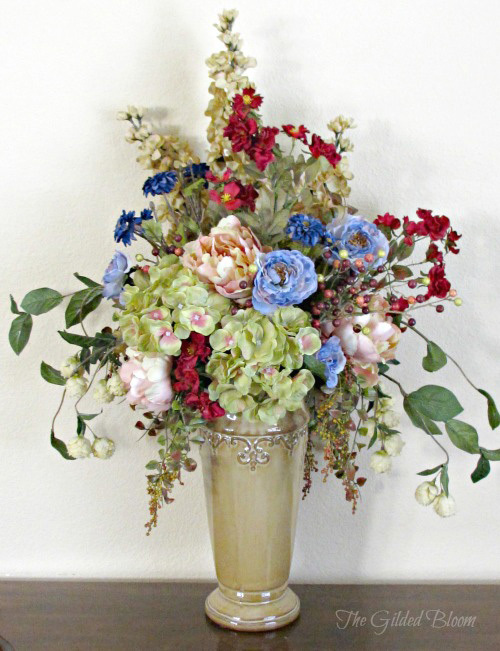 Since I wanted the final arrangement to have the look of the florals portrayed by Dutch Master painters, I selected a profusion of blooms in rich, old world colors and used a somewhat formal design. 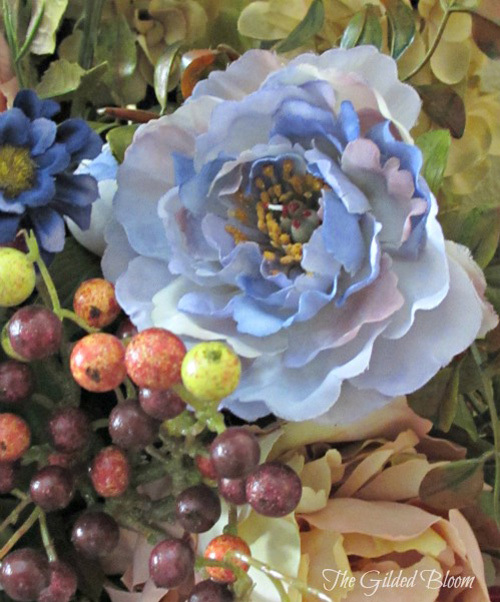 This arrangement is assembled using silk garden variety flowers like hydrangeas, stock, peonies, wild roses, and asters. The colors are mostly muted except for the burgundy and blue accents. The camel glaze of the vase is reflected in the olive green foliage which creates a subtle autumn look in the room. 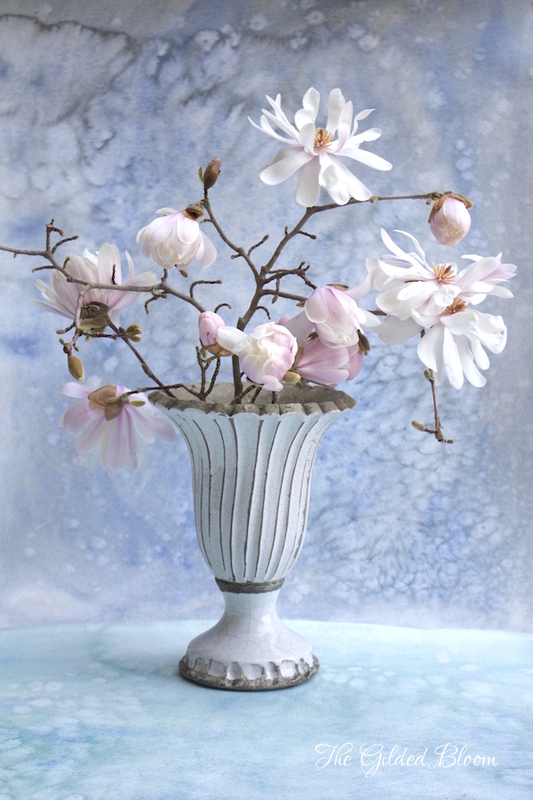 To create silk arrangements like this, choose colors that occur in nature with perhaps one unusual accent color like that of the blue peony below. 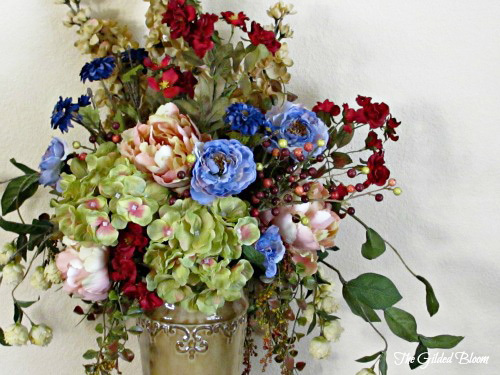 Blue is integrated throughout our living room and this flower ties the arrangement in with the decor. 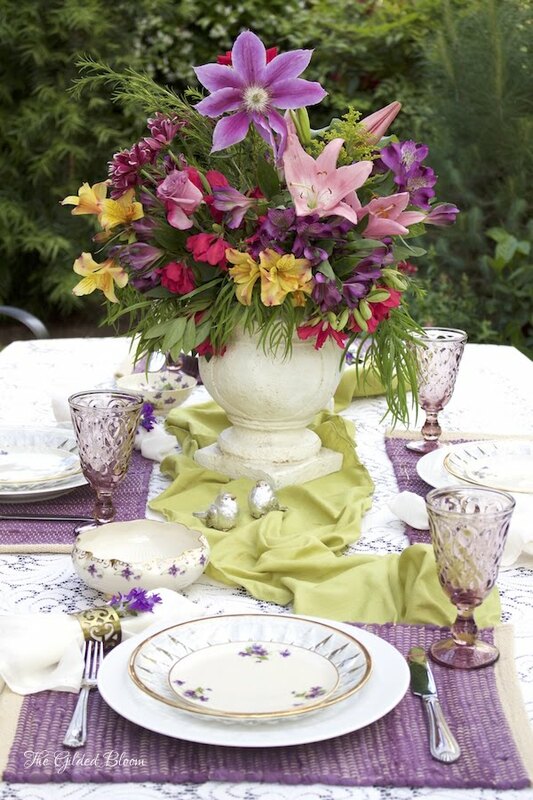 Use large flowers such as hydrangeas and peonies to form the structure of the arrangement and then add smaller accent flowers. Lastly, insert berries and draping vines for texture and to soften the shape of the arrangement. This will keep it looking natural and more realistic. 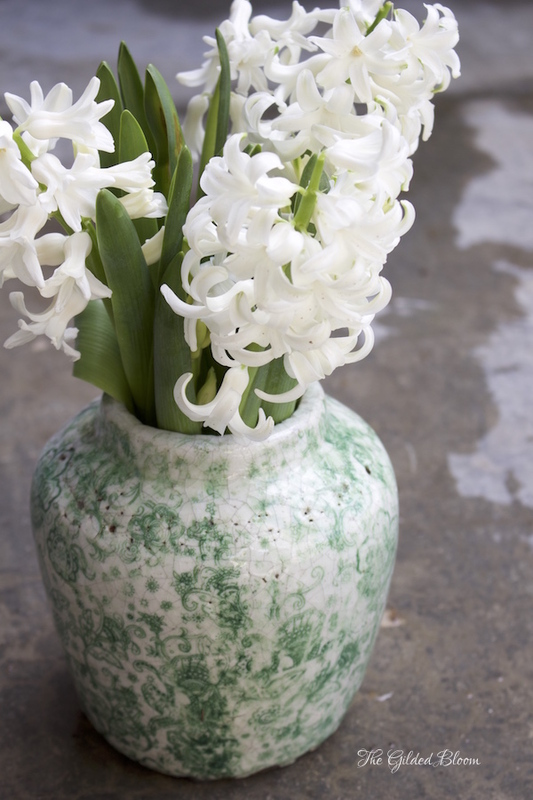 A second arrangement, shown below, brings in lighter tones and a less formal shape. 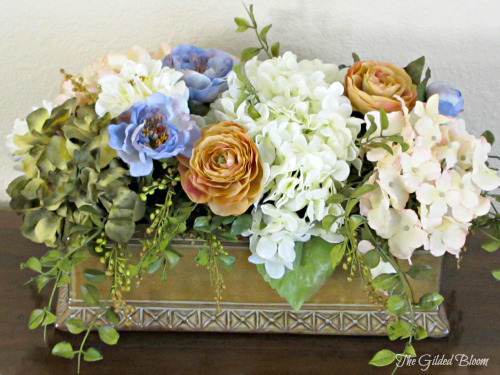 It fits well on a coffee table and features olive and cream hydrangeas, soft apricot ranunculus and the same blue peony featured in the other coordinating arrangement. 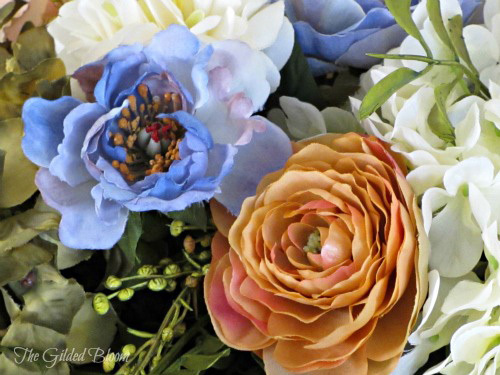 The soft apricot color of the ranunculus contrasts with the blue peony creating interest while cream hydrangeas and antique white lisianthus keep the arrangement light and airy. 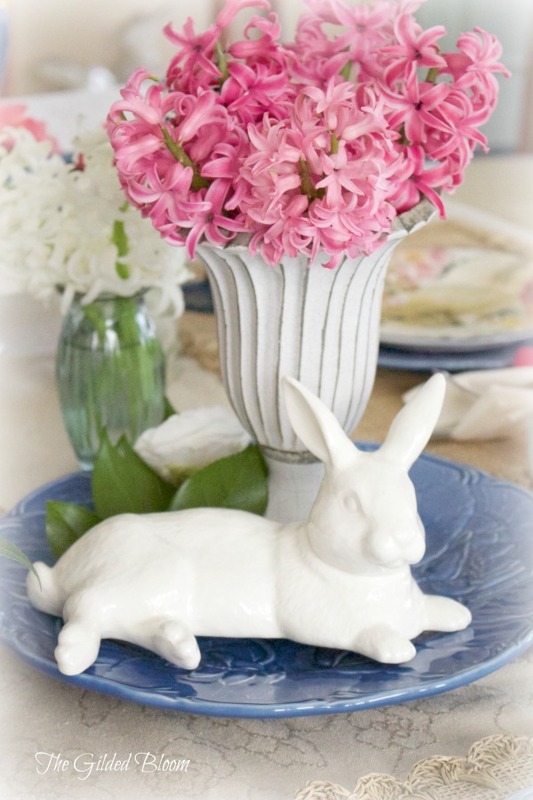 This post has been added to French Country Cottage's Feathered Nest Friday collection of links. Beautifully done. I like using silk flowers too. Thank you, Karen. I'm so glad you stopped by to visit!